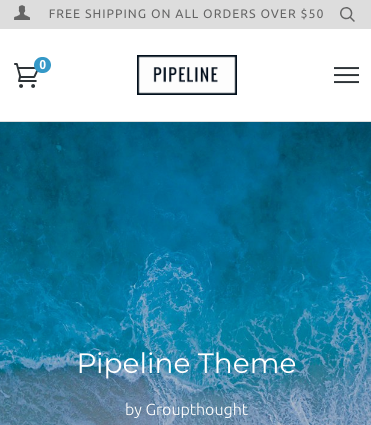 In this article, we'll demonstrate how to add a custom image into Pipeline. 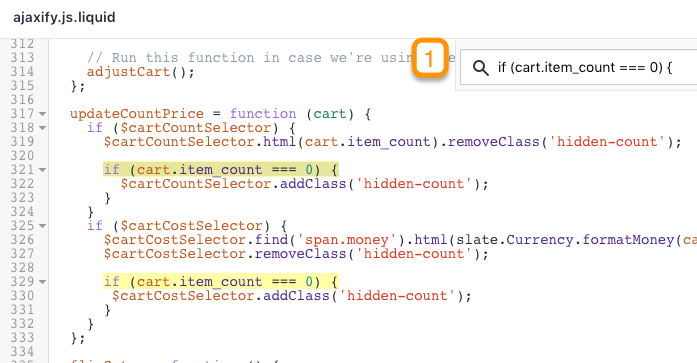 We'll use a shopping cart icon in your navigation as an example. 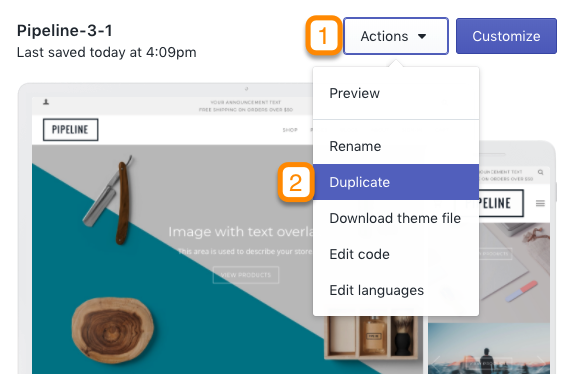 Upload a custom image to your Assets folder. Ideally you'll want to use a transparent .PNG or .SVG file. Use the Upload asset button to complete. Once the code is displayed in the right code side, click inside the code area and press Command-S (Mac) or Control-S (Windows) to save the file. This is where you can tweak or adjust the position of your cart image. If you need to line-up slightly differently, adjust the top value to less or more. 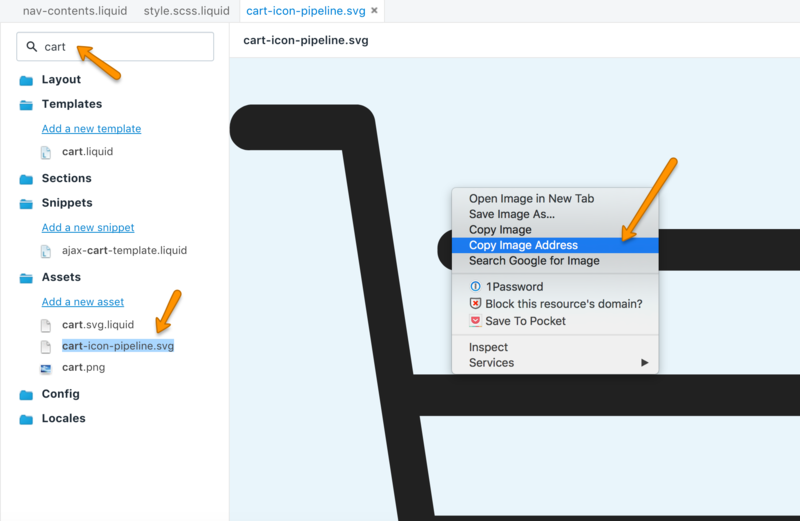 To add a cart bubble to your custom cart icon, you can follow these steps. Be sure you've made a duplicate of your theme before continuing - Very important. Adding the same icon to your mobile navigation is done differently. 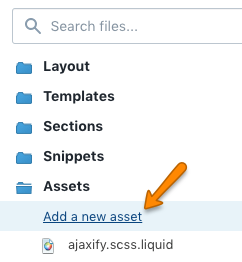 You'll be adding code to allow the bubble indicator for mobile and changing the background image in your style.scss.liquid file. Always show the cart bubble on mobile. This is important to maintain the position of our logo image. By adding the double backslashes "//" in front of the line, the code won't be executed. 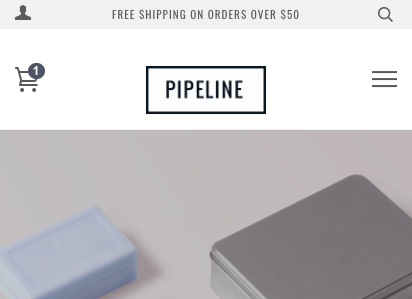 In the last section background: url(//cdn.shopify.com/s/files/1/2018/8867/t/12/assets/cart-icon-pipeline.svg), use the address of your cart image that you uploaded. 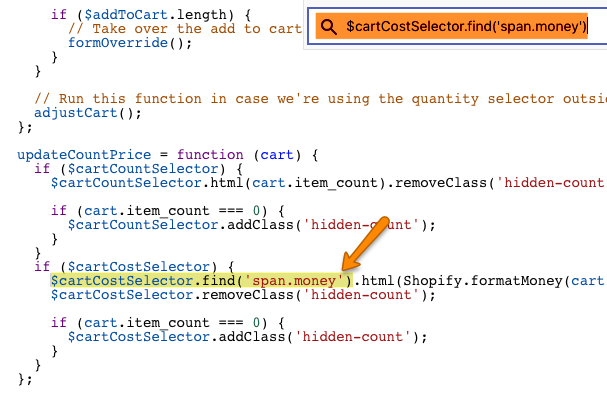 The code in this example is the same cart image from the desktop cart. You can remove the starting "https:" and the trailing number starting with "?9758318710259430245"